We are a veteran and woman-owned company with a strong belief in the importance of excellent customer service and staying ahead of the technological curve by constantly looking for more innovative and creative ways to bring the best products and services to our clientele. Our field service engineers have the highest technical certifications in the industry along with military discipline that ensures our customers receive only the finest and most precise maintenance and customer service in the industry. Founded in 2017, Mission Critical Power (MCP) is a dynamic, goal-oriented, results-driven business located in the Greater Atlanta area. Our company was established to bring you industry leading technical expertise and excellent customer service when it comes to your critical power needs. 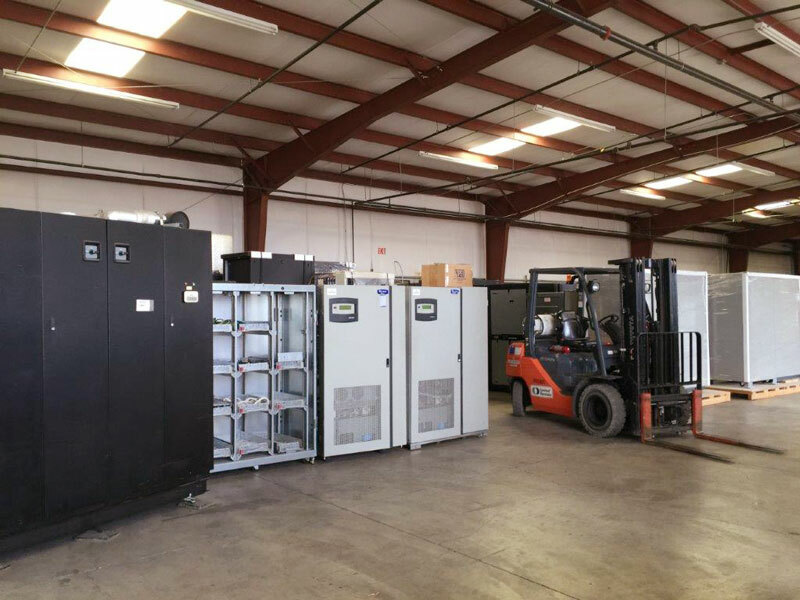 Mission Critical Power is your innovative and reliable UPS, DC Power, Battery, Generator, and PDU maintenance service provider. Mission Critical Power has the ability to serve the critical power needs of the industrial, institutional, government, utility, commercial, residential, IT, and telecommunications markets throughout the southeast region. Mission Critical Power is comprised of a skilled team that includes professional electronic, mechanical, and field service engineers all with over 60 combined years of hands-on experience in the UPS service and maintenance field. MCP's credentials include operating as a Women Owned Small Business (WOSB), participating as a member with the Society of American Military Engineers and is registered as a Disadvantaged Business Enterprise (DBE). MCP looks forward to putting its business acumen to work for your organization. Our Customer Service Promise serves as the basis of all interactions between Mission Critical Power and our clients. Accurate and Consistent: We will always aim for 100% accuracy, and be consistent in how we interpret and implement industry standard practices and safety protocol. Daily operations are managed by Nicholas Shaw and financial operations are handled by Karen Tinker. This dynamic partnership leverages technical, social, military, and business experience providing Mission Critical Power (MCP) with a strategic leadership duo that strives to bring you the best UPS service and support in the southeast. Nicholas Shaw is an electronic warfare non-commissioned officer in the military with over 7 years in service and has direct experience working with UPS, DC Power, Batteries, Generators, and PDU’s. Nicholas is highly skilled in HAZMAT operations, Logistics, and Electromagnetic and Direct Energy. His military discipline and technical expertise will ensure a goal-driven business with a mindset always looking for the next technological advantage to stay ahead of the competition. Nick's credentials include Toshiba factory and OSHA certifications under Mission Critical Power as well. As an operations leader at Mission Critical Power, Nicholas is a key component in facilitating government contracts and relationships due to his extensive military background and high-level connections across the country. Nicholas possesses a Secret government clearance and is an active member with the Society of American Military Engineers (SAME). Nick's diverse background ranging from orchestrating battalion size element movement to tracking multi-million dollar inventories translates directly into a top notch project manager for MCP, ensuring our client's projects are successful from inception to final inspection. Karen Tinker is a savvy business woman with 20 years experience as an entrepreneur. Karen’s diverse background and visionary mindset establishes the strategic framework and implementation needed to launch Mission Critical Power into an industry leader in the UPS service and maintenance arena. Karen's resourcefulness allows her to recognize opportunities hidden to most while maximizing profits and offering stellar services to her clients. Karen is a consummate professional with a track record of success in all aspects of business. Her uncanny ability to bend and flex to manage the chaos, contracts, and challenges an entrepreneur faces each day make her a CEO to watch! Karen doesn't stop with just one project: she is a respected community member, business and youth coach/mentor, author, prevention advocate and mom. Karen and her team focus on private and public sector opportunities in which the end user demands a high level of service and a great bottom line price 24/7. Karen is always available to connect for coffee or web chats. Karen is a connector and will always find ways to leverage her vast social network within MCP and her other business ventures.